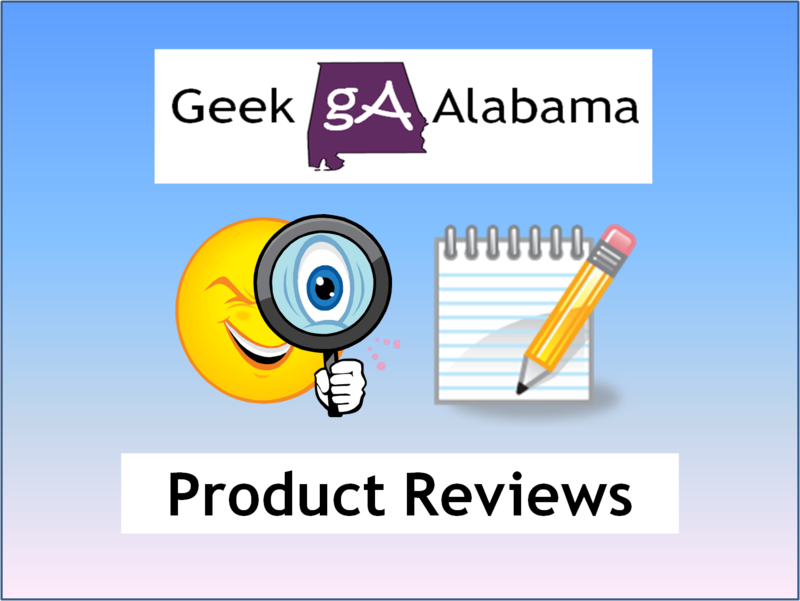 It’s time for another product review! 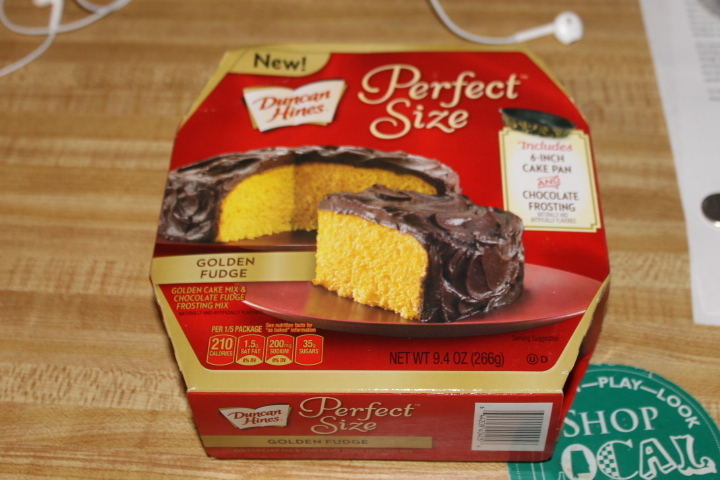 And this time, I am reviewing a new item from Duncan Hines, where they claim you can enjoy your cake in a more personal size! 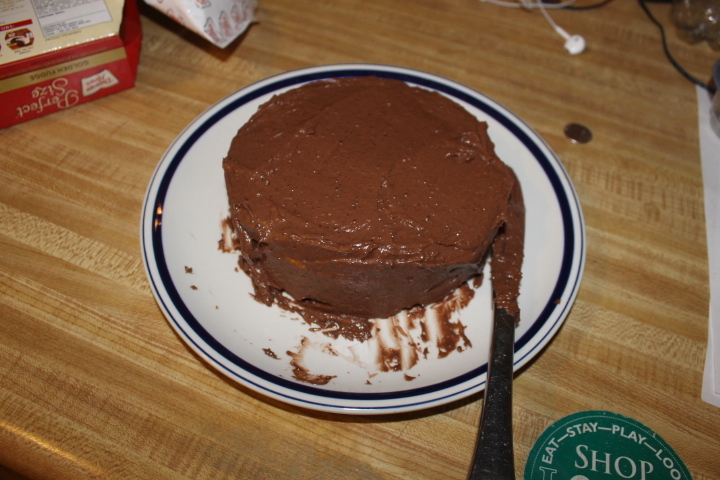 The item is called Perfect Size, and it comes with the cake mix, cake pan, and chocolate frosting mix. All you need extra is butter, eggs, water, and you are set! 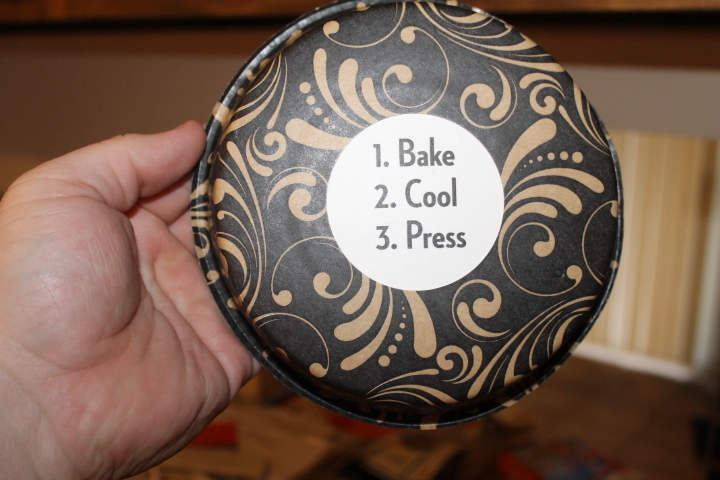 The package comes with a plastic cake pan, where you place in the batter, bake, let cool, and pop out. 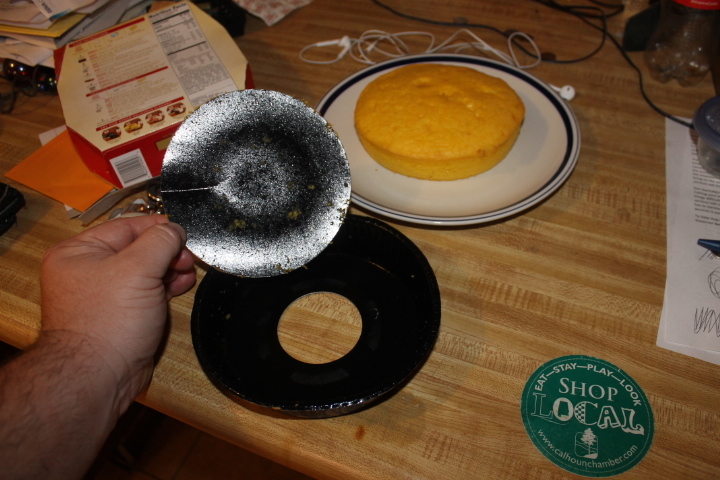 So I greased the cake pan, poured in the batter, placed the cake pan on top of a cookie sheet, and baked according to the package instructions. 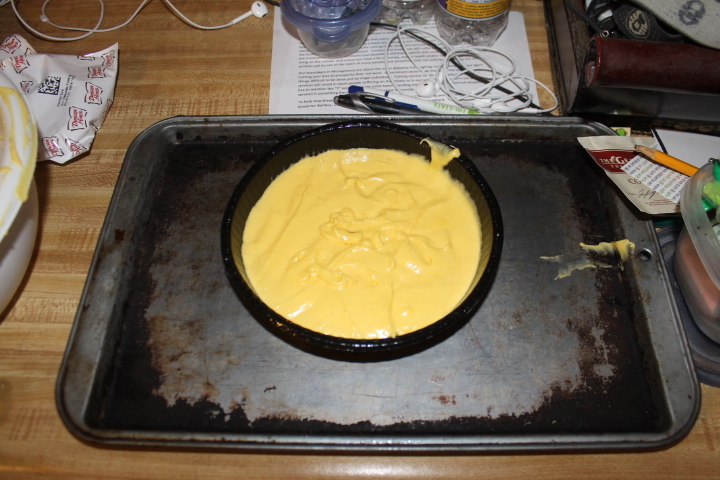 And it comes out like a cake! 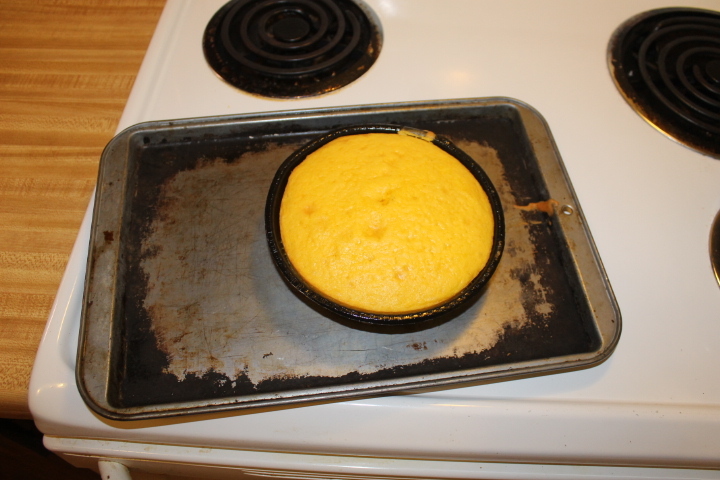 After letting the cake cool, I popped out the bottom, which was a little hard to pop out. 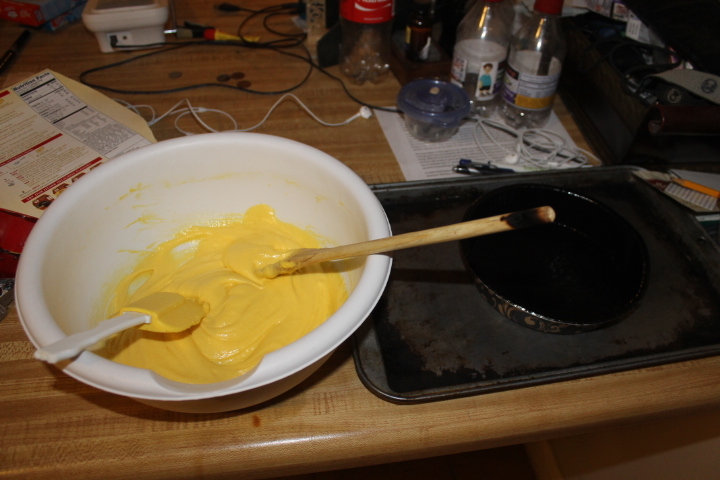 This I can understand, you don’t want the batter leaking! 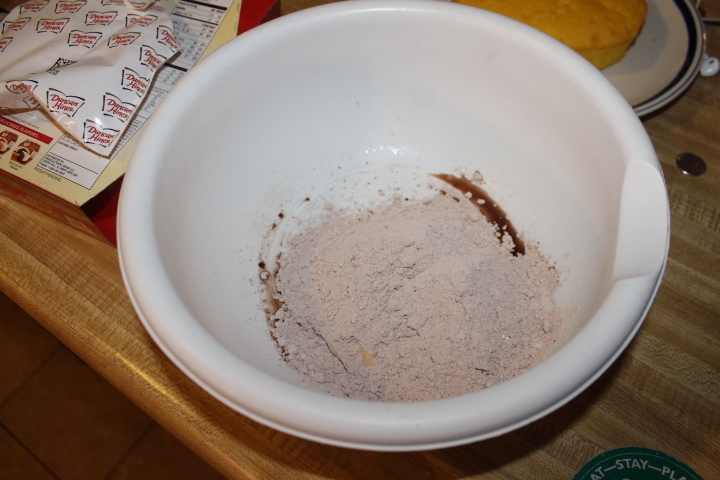 Now, let’s work on the frosting, which is powdered! 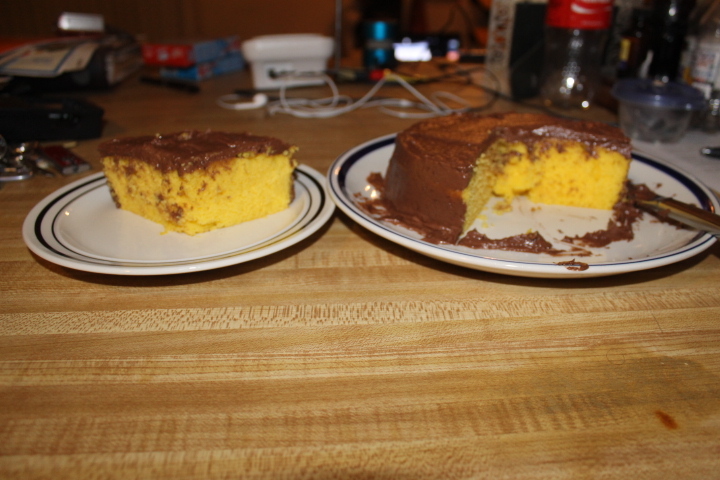 After letting the cake fully cool, I put the frosting on the cake. And then, I had a slice! 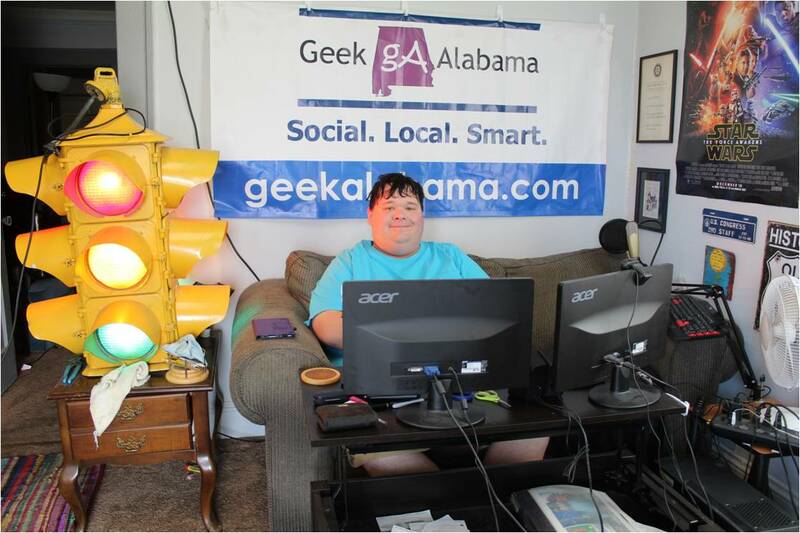 Overall, it was not a bad product! 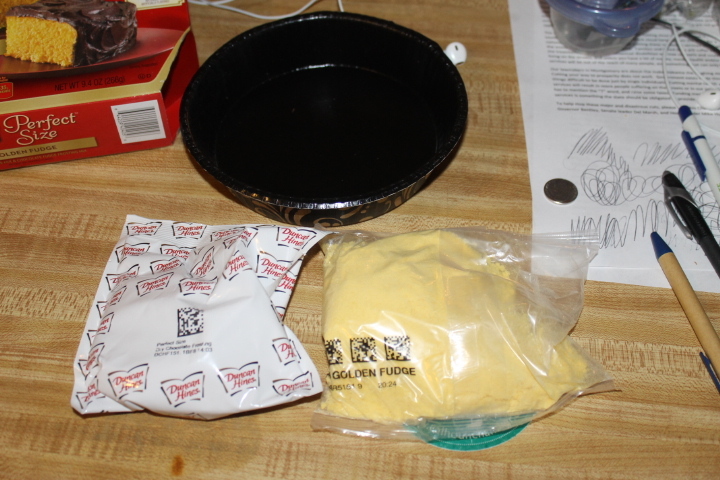 It only cost around $2.50 at the dollar store, and you must have some eggs and butter in addition to this product, but you hardly dirty up any dishes other than a bowl and a few utensils, and you have a cake to enjoy in about an hour and a half. 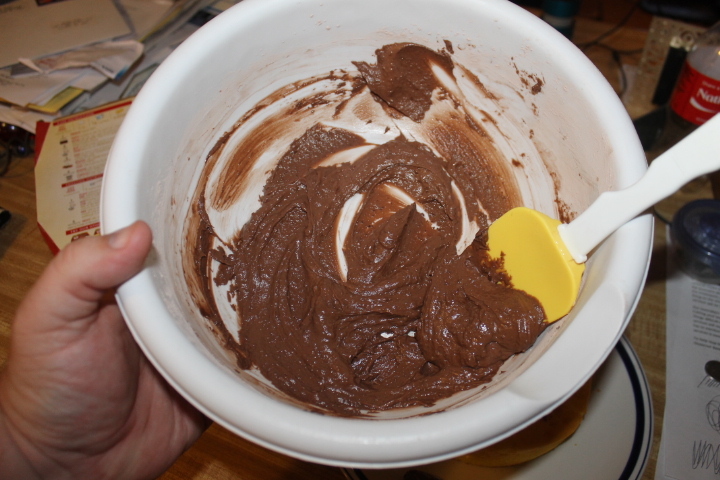 I kind of wished the frosting would have been already made, but it was not hard to make the frosting almost from scratch. As you can see, this was the golden fudge variety, but they also have chocolate lovers, strawberries and creme, and other flavors! To sum things up, I would get this again!